This beachfront paradise in Playa Corillo is offers an idyllic getaway with a conscience. The hotel is in sync with its natural surroundings, and through thoughtful environmental management systems aims to preserve the region's biodiversity. Enjoy sweeping views of the ocean or relax at the outdoor pool and spa. Tastefully appointed rooms offer a welcome retreat, with cable TV, Wi-Fi and a host of amenities. 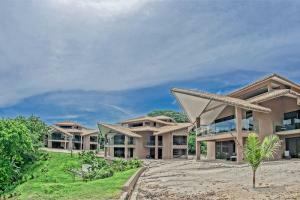 Located about 26 miles from Santa Teresa and 50 miles from Liberia Airport.